The Ottoman Turks under Sultan Suleiman I (“the Mangificent”) incorporated the central portion of the Kingdom of Hungary, including Budapest, into the Ottoman Empire in 1541, holding control over this territory until 1699. In 1526 military forces from the Ottoman Empire under the leadership of Sultan Suleiman I annihilated the armies of the Kingdom of Hungary under King Louis II at the Battle of Mohács in modern-day southern Hungary. King Louis II drowned in a creek after falling off his horse wearing heavy armor during the retreat of what remained of his army following the battle. King Louis II died without a legitimate son, thus initiating a struggle for the throne of the Kingdom of Hungary between Voivode of Transylvania János Szapolyai, the most powerful man in the realm following the Battle of Mohács, and Archduke of Austria Ferdinand of the House of Habsburg, the fallen king’s brother-in-law. Both Szapolyai and Ferdinand were crowned king of Hungary in the months following the Battle of Mohács. In 1526-1527 the military forces of Ferdinand defeated those of Szapolyai in two battles, thus compelling the latter to withdraw to his base of power in eastern Hungary and Transylvania. In 1529, Sultan Suleiman I launched a military campaign aimed at conquering the territory of the Kingdom of Hungary under the control of King Ferdinand I. 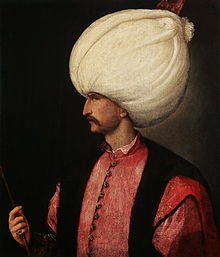 However, Ottoman forces suffered defeat against Christian armies defending Ferdinand’s capital city of Vienna in 1529, forcing Sultan Suleiman to withdraw and delay his planned occupation of the Kingdom of Hungary. The Habsburg Kingdom of Hungary (blue), the Ottoman Empire (yellow) and the Principality of Transylvania (green). In 1541, Suleiman the Magnificent occupied Buda and incorporated the central wedge of the Kingdom of Hungary directly into the Ottoman Empire. King Ferdinand I was left to rule over the western and northern section of the kingdom, while the sultan recognized János Szapolyai II, the son of János Szapolyai I, as king of the semi-independent Ottman vassal state of the Eastern Hungarian Kingdom [Keleti Magyar Királyság], which was reconstituted as the Principality of Transylvania in 1570. The Ottomans divided the territory of the Kingdom of Hungary that came under their control into administrative districts called eyalets. The most powerful official in Ottoman Hungary was the Pasha of Budin, the most important of the six eyalets in this portion of the empire. The Ottoman military established major fortresses in the following four towns located in the territory conquered from the Kingdom of Hungary: Buda, Pest, Székesfehérvár and Esztergom. The number of Ottoman troops stationed in these and other fortresses rose to a peak of only somewhat over 20,000 in the middle of the 1500s, reflecting a relatively minor military presense in the occupied territories of the kingdom. 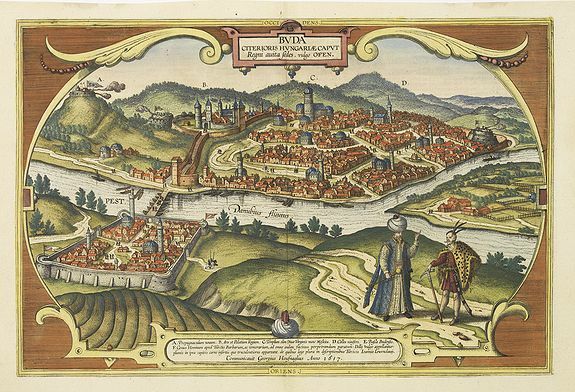 The capital of Ottoman Hungary: Budin (1617). 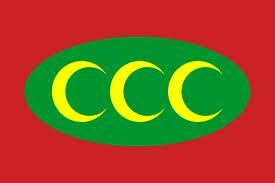 The Ottomans did not compel the Christians of the empire to adopt Islam. 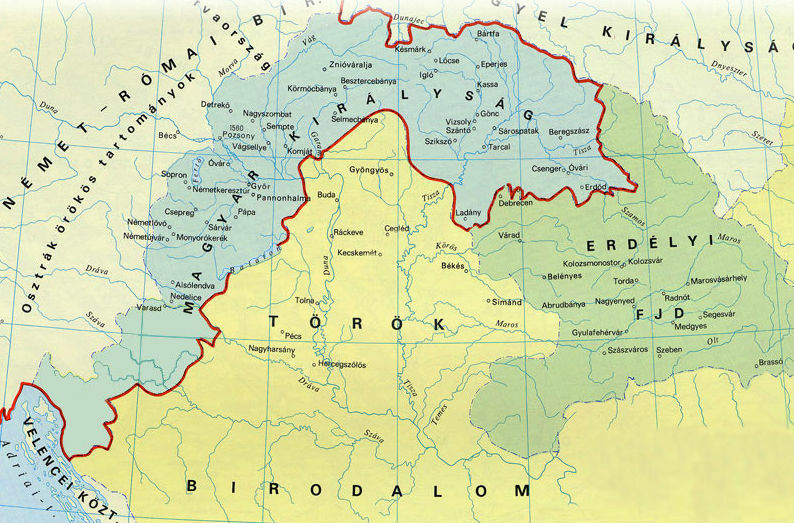 Central Hungary constituted an integral part of the Ottoman Empire for 145 years. The expulsion of the Turks from Hungary began with the victory of Christian forces under the command of King of Poland John III Sobieski over Ottoman armies laying siege to the city of Vienna in 1683. The following year, Pope Innocent XI established the Holy League composed of the Holy Roman Empire (including the Habsburg Monarchy), the Polish-Lithuanian Commonwealth and the Republic of Venice with the objective of driving the Ottoman Turks out of Europe. The ensuing 15-year military conflict between the Holy League (which the Tsardom of Russia joined in 1686) and the Ottoman Empire came to be known as the Great Turkish War. Holy League troops, fighting primarily under the flag of the Imperial Army of the Holy Roman Empire, gradually expelled the Ottoman Turks from their strongholds in Hungary during the early years of the Great Turkish War, occupying Esztergom in 1683, Buda and Pécs in 1686 and Székesfehérvár in 1688. Flag of the Ottoman Empire (1517-1793). The Ottomans formally ceded most of the territory they had conquered in the Kingdom of Hungary to the Habsburg Monarchy via the Treaty of Karlowitz in 1699. Beginning in this year, the Habsburg Empire rapidly extended its control over the entire area of the pre-1526 Kingdom of Hungary, maintaining the Principality of Transylvania as a separate constituent Crown Land of the realm. Little cultural, linguistic and architectural evidence of the 150-year period of Ottoman rule has remained in Hungary. A few Turkish loan words originating from this period are used in modern Hungarian, such as dohány (tobacco), kávé (coffee) and kefe (brush). The main Ottoman-built buildings and structures still standing in Hungary are the Mosque of Pasha Qasim in Pécs, minarets in Eger and Érd and the tomb of dervish poet Gül Baba and the Király and Rudas baths in Budapest. In addition to the above: some Turkish baths have remained in Hungary as well. Built on hot springs, they still offer a traditional “hamam” experience. The Rudas Furdo and Kiraly Furdo are fine architectural and cultural examples of the Ottoman era. A howling omission indeed! I’ve already corrected it. Thank you.